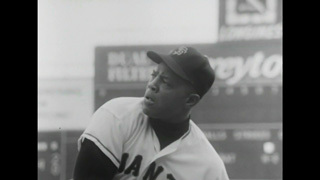 This one hour entertainment documentary is a revealing look at the life and career of Willie Mays, who maybe the greatest Baseball player to ever live. Exciting action and historic film. Clips are combined with interviews in a fast-paced, lively hour. Written and narrated by Charles Einstein.